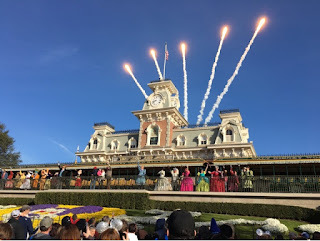 Every morning, there is an "opening show" at Magic Kingdom that most guests don't see. 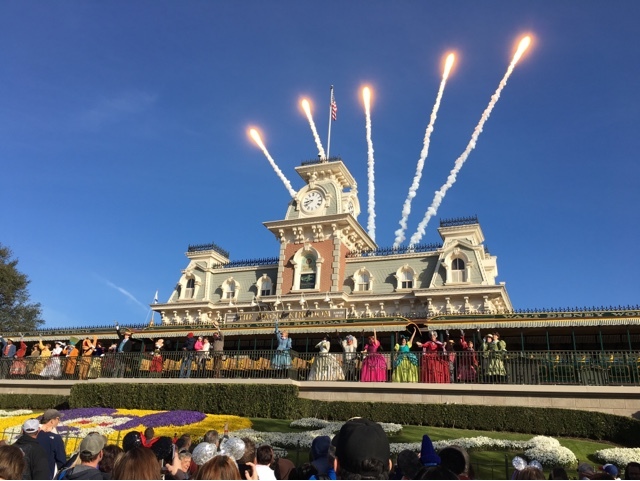 Typically, there are less than a few thousand guests that arrive at the park before opening. Those that do are treated to a fun display of characters, music, and even a few fireworks, which you can see in this shot from this morning.